As I'm sure you probably know by now, there's a Drake song — and Drake lyrics — for every occasion: For instance, there's a Drake song for when you just broke up and need to sob in the bathtub. There's a Drake song for when it's Friday and you're about to go out with your best friends. There's a Drake song for turning the lights down low and puttin' the moves on that special someone. 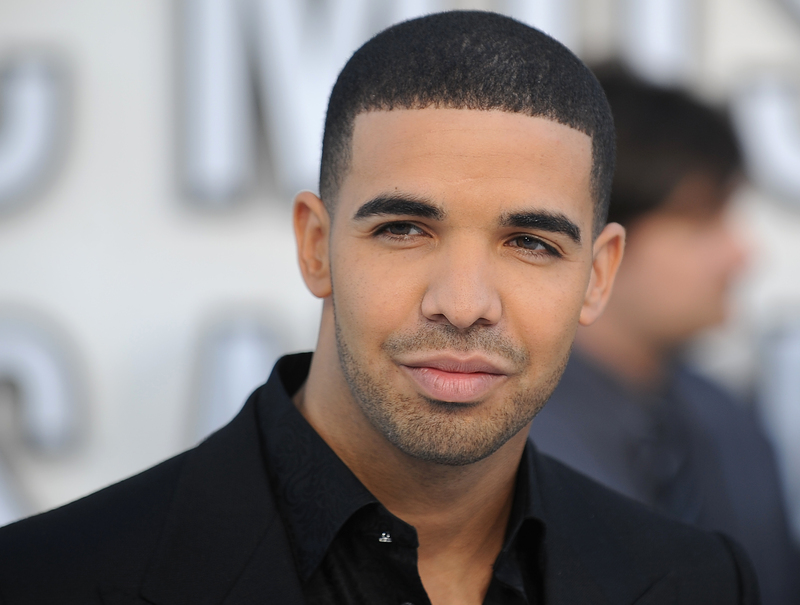 That's just the beauty of Drake: He can be a hard trash-talker in one song, and a sexed-up crooner in the next. His latest release, If You're Reading This It's Too Late, is a mash-up of all the feels in all of Canada, and perfect indication of this. These Drake songs for all seasons are perfect for making mixtapes (remember those, millenials?) meant for everyone from exes to potential love interests...or your sworn enemies, if you're into taking the non-confrontational route with things. But, we don't all have the time or the patience to make Drake mixtapes — so, how's one to get their point across without one? Turns out, pretty simply: Drake lyrics are actually perfect for a variety of occasions, and really, can probably easily be made into greetings cards. So, the next time you see a blank-on-the-inside card and can't find the right words to write, here's how your can Drake-ify your Hallmark selection. Enjoy. "Nails done/ hair done/ everything did." — "Fancy"
A perfect Drake-ilicious birthday card for your BFF. It's their birthday, and it's time to get turnt. "Next time I stand tall/ I want to be standing for you." — "Own It"
When you want to do more than say thank you to someone who did something outstanding for you. Like, maybe they ordered you pizza while you were drunk-crying because CVS ran out of peanut M&Ms? That's a normal thing that happens, right? "I don't know if you know/ but I know who you are." — "Madonna"
When you just want to let someone know that you know they're special. You know? "I got my eyes on you/ You're everything that I see." — "Hold On, We're Going Home"
For sending a clear message: "I love you, now let's get freaky." "Started from the bottom/ Now we're here." — "Started from the Bottom"
The only words you need to celebrate a graduation, promotion, new apartment... or Friday. "I remember when you thought I was joking/ Now I’m all singing Karaoke." — "Karaoke"
"Me, I’m just proud of the fact that you’ve done it your way." — "The Real Her"
For the mom that's a true original.